Amid all the parties you have attended in your life, have you noticed how some parties fail to etch a delightful mark on your memory? Parties become boring and forgettable affairs when not planned properly. Success lies on the perfection of every party details. 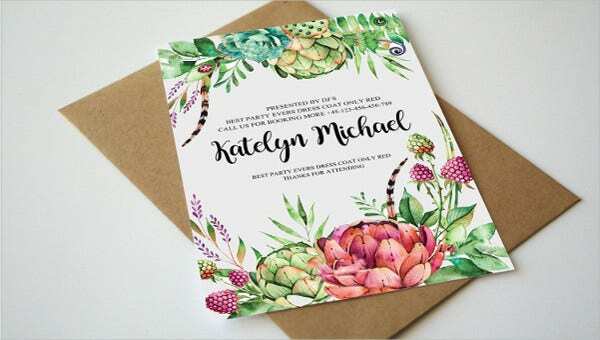 Hence, if you are a party planner, then you must realize that the quality of your invitation cards are immensely influential on your party guests moods prior to the party; that is why, if you are planning a birthday party, bridal shower, or a wedding reception, then our slew of carefully designed invitation templates might be of great use to your party needs! Simply scroll down below and click on the ones which strokes your fancy. Planning for parties can be quite a tiresome task and costly too. Hence, it is always a great idea to tailor your own invites. This way you can cut down on costs by avoiding the huge sum which most professional graphic designers ask for. 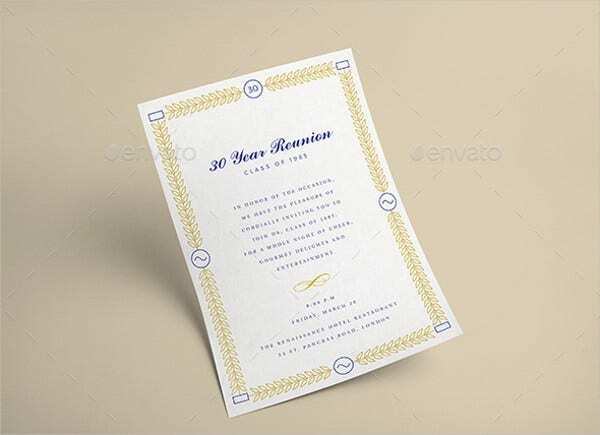 While there are times when hiring a designer is reasonable and meritorious, however, party invitation are not one of those things. 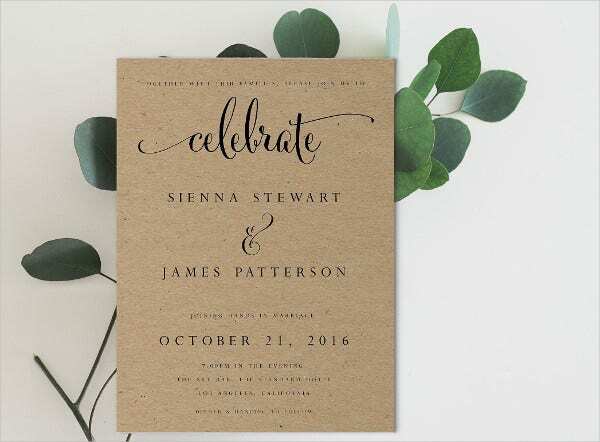 Sample Wedding Invitation Template. Classy and rustic. This will surely match the understated elegance of your wedding. 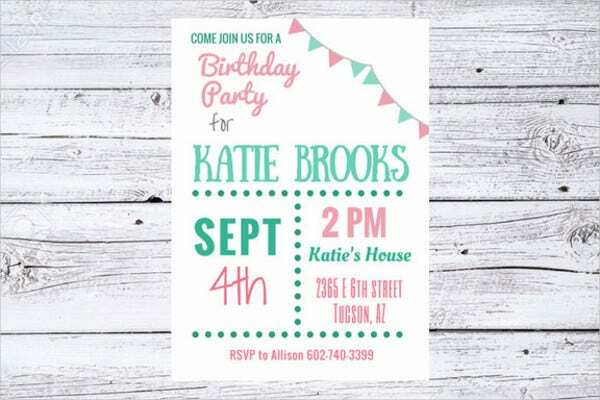 Sample Party Invitation Template. If your birthday celebrant is a teenager, then this soft and pastel colored template will appeal to her young guests. 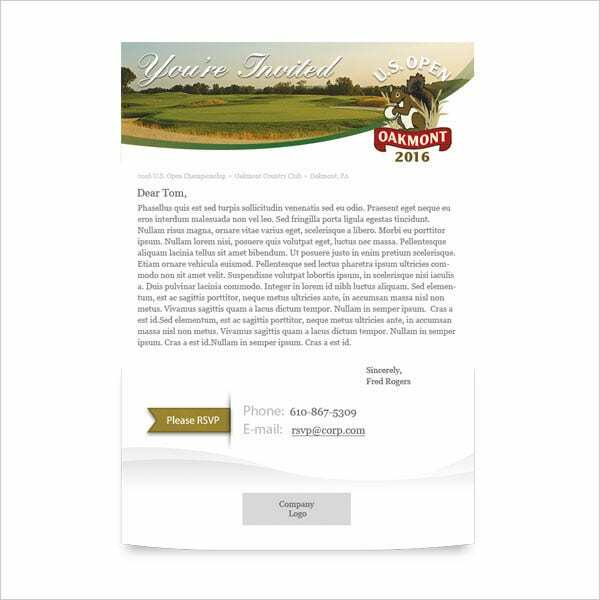 Sample Email Invitation Template. If you are a corporate junkie who is too busy interacting with friends, family, and colleagues digitally then this email template is the right for you! 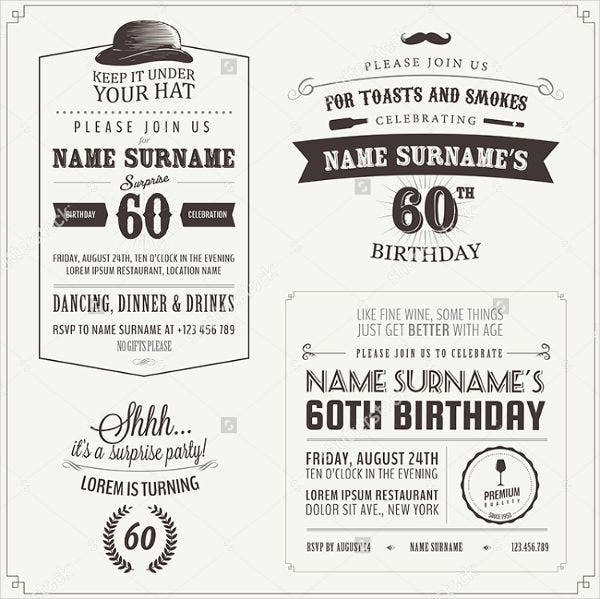 Sample Birthday Invitation Template. Planning a birthday party? Then why not make use of this template. Just add the party details and more designs if you want to. 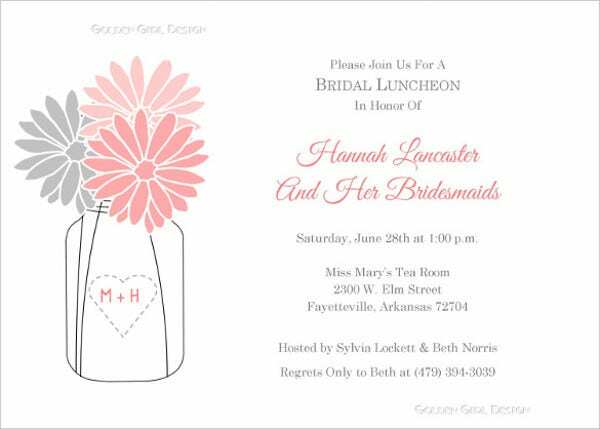 Sample Bridal Shower Invitation Template. Are you the maid of honor or bridesmaid burdened with the honorable task of planning the bridal shower ? Then you need not fret, for this lovely floral design shouts chic in loud volumes. Theme, theme, theme is everything. Before you could go any step further with your party planning, first you select a theme which matches both the occasion and the personality of the celebrant or the objective of the event. Select the design. Find a location that matches the theme, then select a design which matches it. Fill in the party details. Of course, don’t forget to place on your invite the party details such as the time, date, place, and RSVP details. Specify the RSVP date. When planning for the party, you need to know how many guests to expect in order to prepare the appropriate amount of food, chairs, tables, and etc. Dress code. State the dress code because you don’t want your guests to feel out of place with the overall theme and far be it that they should wear four-inches heels when your party is on the beach! Timely. 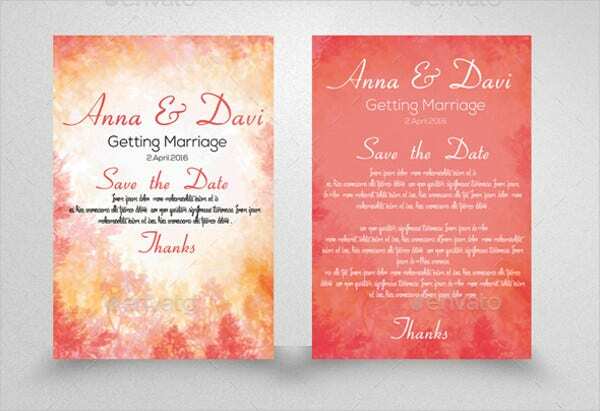 Send your invites two to three weeks before the event so that your guests can still vacate a space in their schedule. Now that you have learned the basics, we hope you will find our free invitation templates useful. You may edit these designs easily using Photoshop or any photo editor.